If you follow my blog, social feeds or have me as a friend on my personal Facebook Page, you will know that I spent the weekend out of my comfort zone, not really knowing what to expect, or what was in store for me. At first I was a bit nervous and worried that I might get thrown into the deep end, doing stuff that I wasn’t comfortable with, or accustomed to. But after I agreed to the trip, signed on the dotted line, and accepted I was about to have my whole existence put in the hands of others… I thought; what the Hell? You only live once. 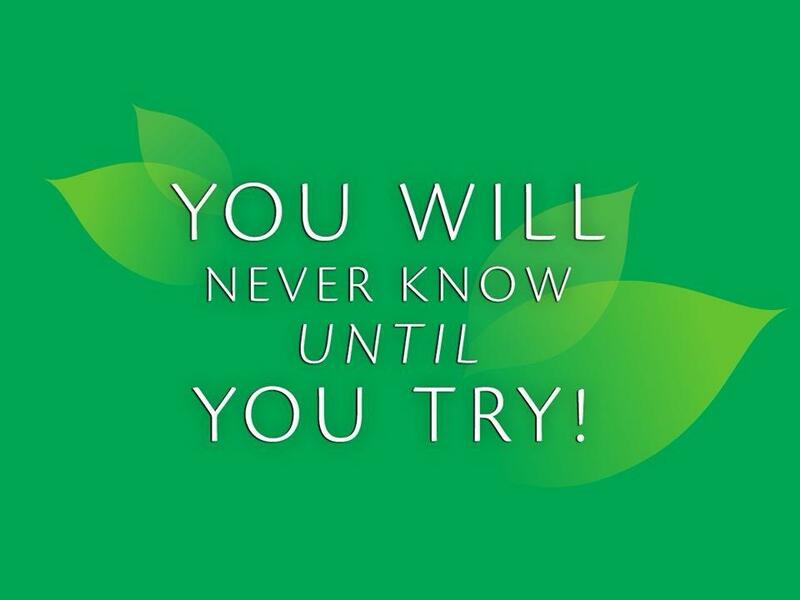 You will never know until you try, right? So Thursday arrived, my bags were packed, and I started off in typical Cape Town style, missing my first ever flight! Little did I know the whole campaign was going to be based around the whole #TrySomethingNew hashtag, fitting I guess? You can read about my initial idea about the campaign in my pre-tour blog post [here]. Little did I know what was in store for me, was WAY more unexpected! So I arrived in Jozi after one missed flight, and another delayed, not knowing what was coming. I was greeted by my chaperon Mo, who literally turned out to be the biggest legend EVER! So much so that I can’t wait for her to come to Cape Town, so I can show her my town from an insiders perspective. So off we went to check me into the Sandton Lodge in Rivonia. My word, what a killer spot to stay! Felt like I was at a sanctuary in Seychelles (without the sea obviously), but it was lush with trees, I had two pools outside my door and the staff were super friendly! So I had a quick shower and we were off to Parkhurst to a restaurant called The Wolfpack. Little did I know, this was basically the Kloof Street equivalent of Jozi, and we had just arrived at a craft beer bar! 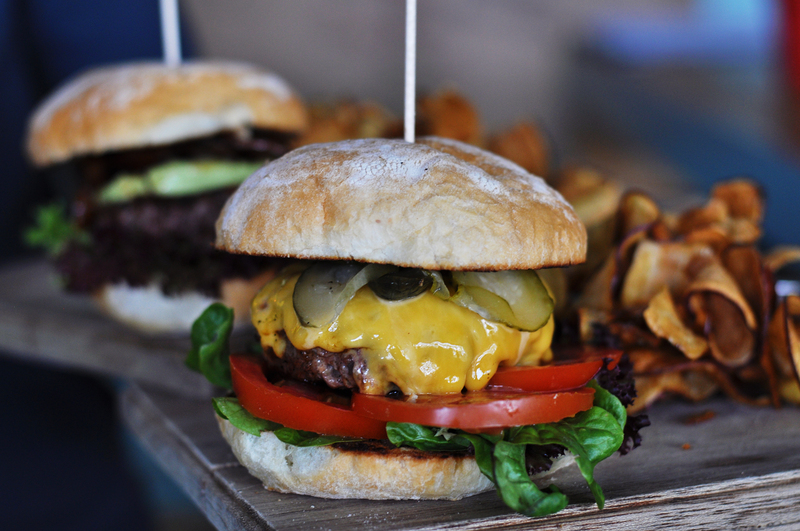 This place was pretty damn cool, they made some of the best burgers I have ever seen, and there were even hipsters there? This was something new for me, because JHB and CPT hipsters are pretty darn different… The best part about the chow, they made sweet potato chips! 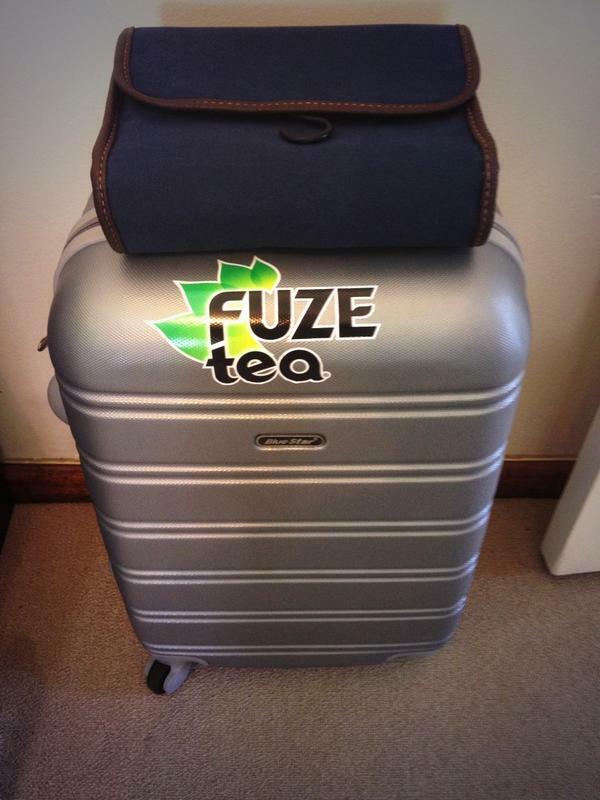 I got home and to my surprise, was a full packet of fatty biltong, BBQ almonds and a fridge FULL of ice cold Fuze Tea. I think this kinda topped off a great night, as I lay watching Training Day until I fell asleep. It definitely worked, because now I am addicted to the Red Berry flavour ice tea. With only 19 grams of carbs per the whole 500ml bottle, it’s right up my alley! I woke up earlier than usual, around 5am, and thought I might as well get up to get some work done, before the day of activities ahead begins. 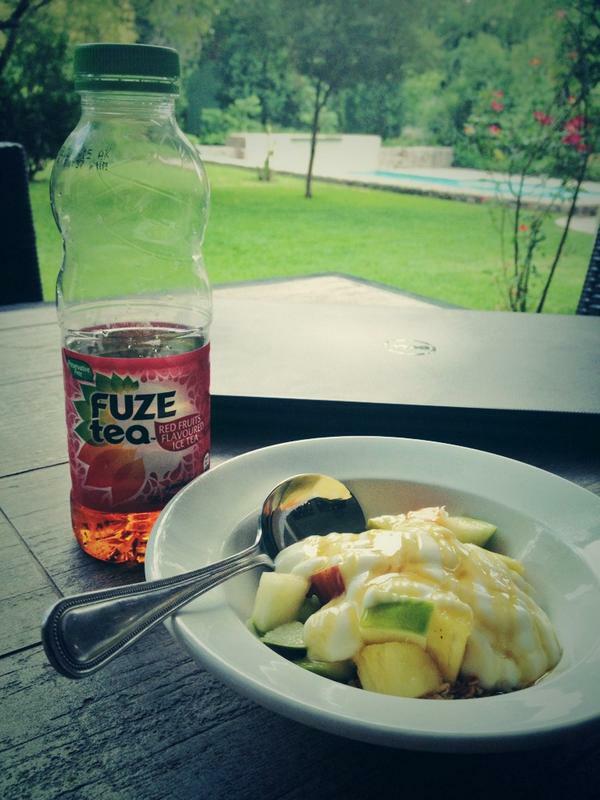 I sat by the pool with my laptop, enjoying the world class buffet breakfast at the lodge! 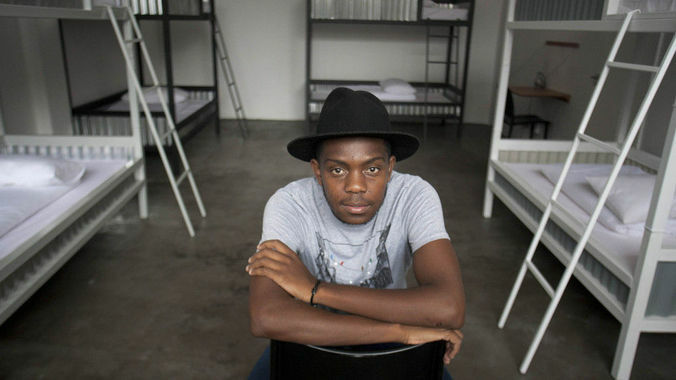 So off we went to start my day, with the first stop at The Handle Bar in Maboneng Precinct. 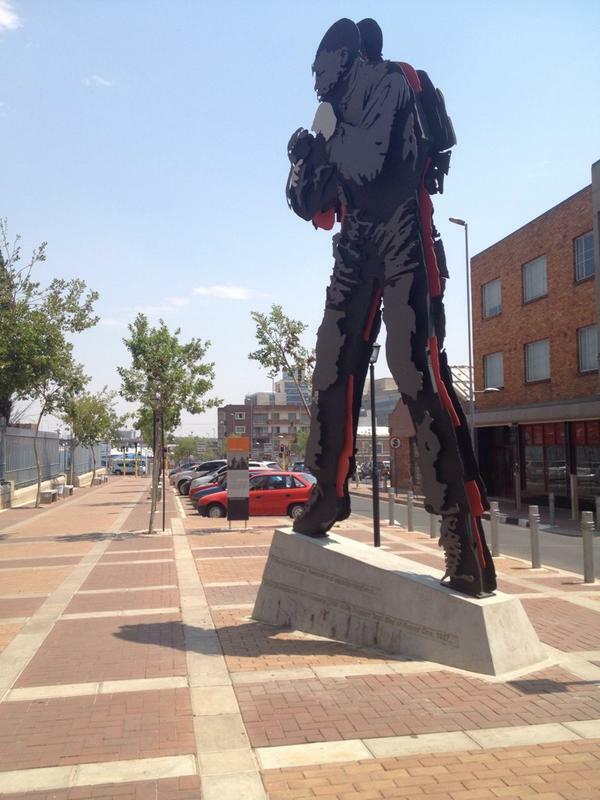 It’s a diverse area, which has been revived with cool new backpackers, coffee shops, bars and arty style restaurants. It reminded me of Woodstock or Observatory in Cape Town a lot! Huge sense of community here I felt, with people hanging out with mates and greeting others all around me. 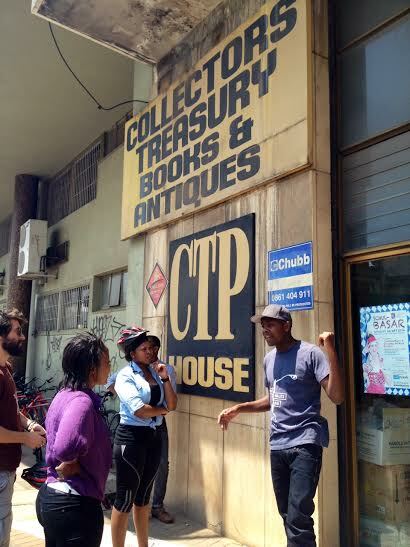 We arrived at our destination, Curiocity Backpackers, where we were introduced to the main man in the Precinct, Bheki! I won’t lie he knew everyone and everything about the area, reminded me of myself back home. 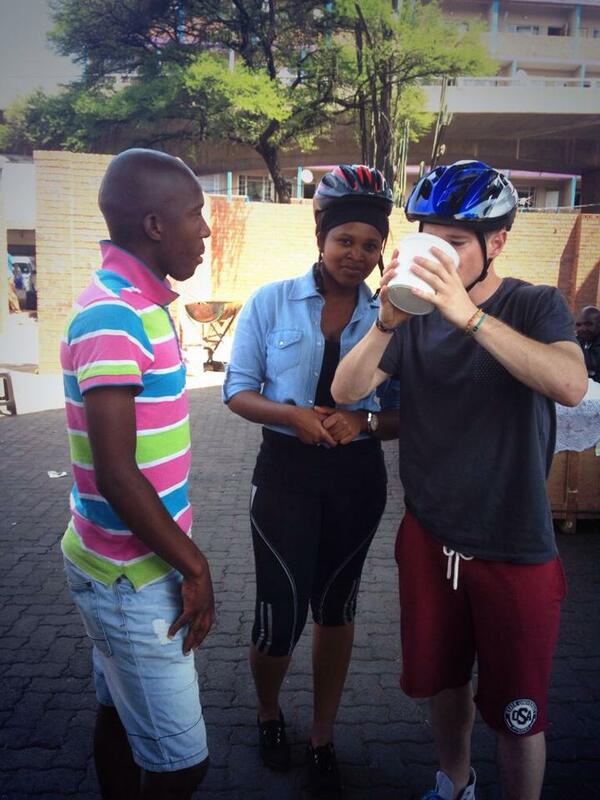 He took us on a 4 hour cycle tour of Jozi, from which I will list the highlights in pictures below! 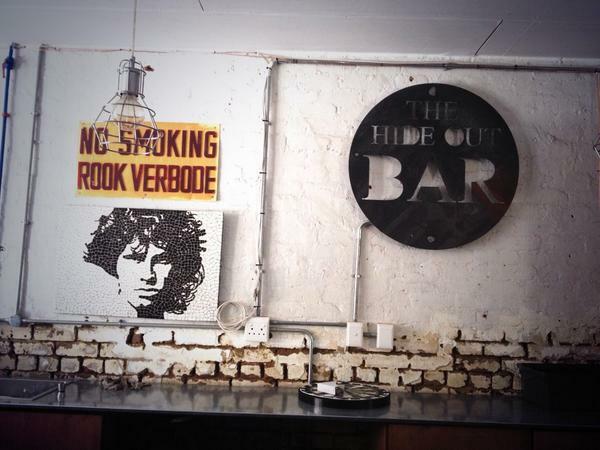 The Handle Bar: Located at Curiocity Backpackers! 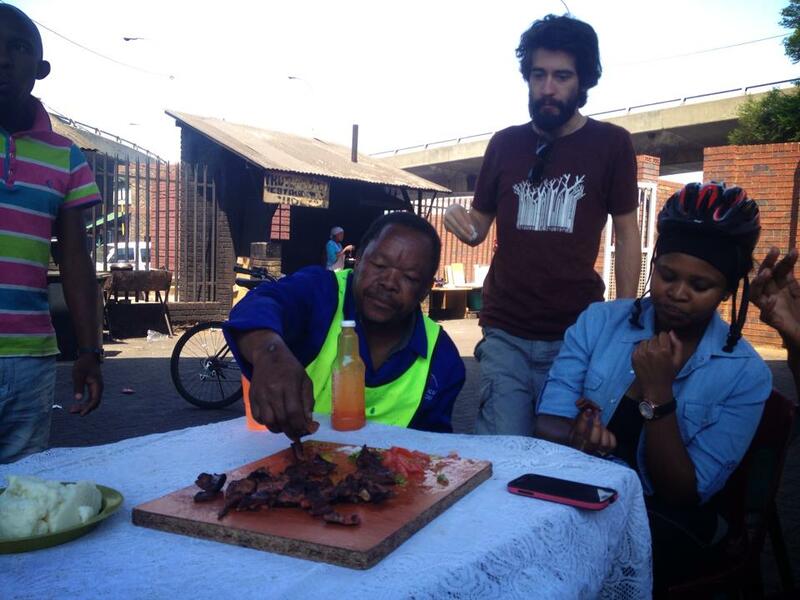 I put on my chefs hat and cooked us some liver at the taxi rank! 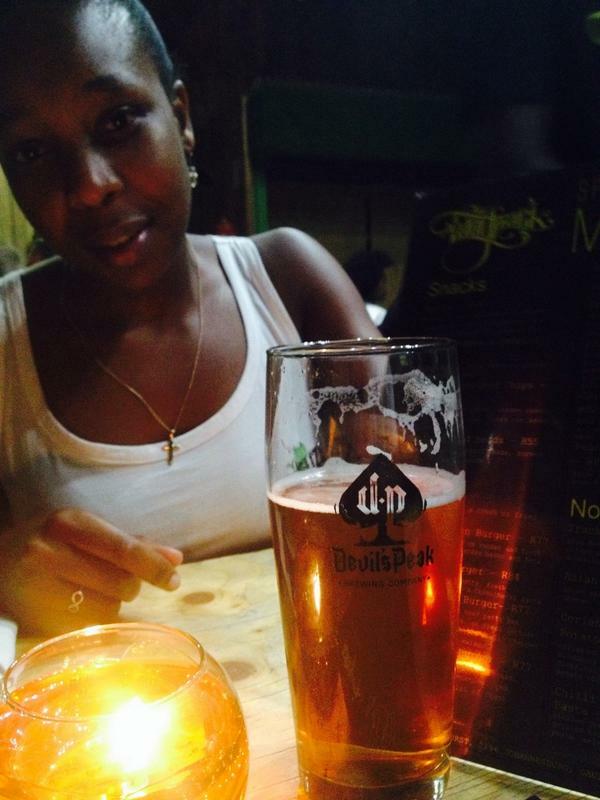 We also enjoyed some African Beer, which is made from Maize! The 2nd largest book store in Southern Africa with 2,000,000 books! 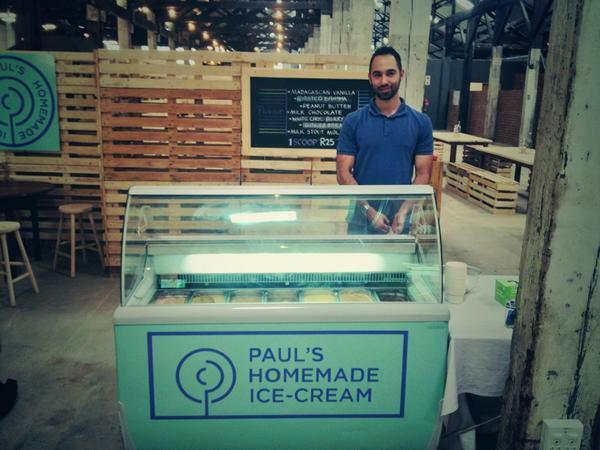 Meeting the main man of Jozi and ice cream legend Paul Ballen at the new One Fox market. Thanks for the free scoop bro! 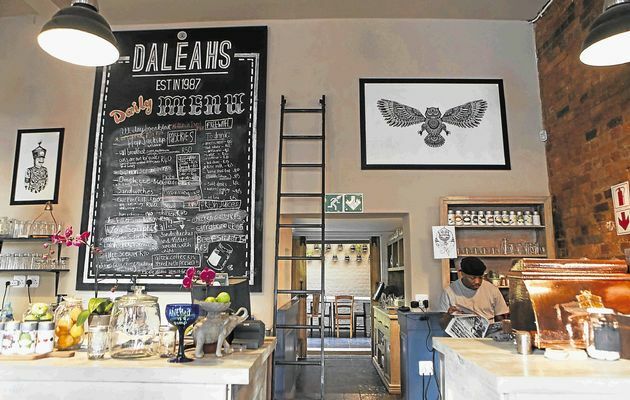 After the amazing trip through Jozi by bike, we hit Daleah’s Restaurant in Braamfontein! Superb salad and fresh juices.